Q67 - Do high level archers do a visual clicker check at the Loading/Transfer phase? In the KSL shot cycle you recommend a visual check of the clicker in the loading / anchoring stage. In the "Inside the Archer" book there is no mention of the clicker check and in the chapter of the Eye Focus its stated that eye focus start at the set position and continue on the target till the follow through. Is it not recommended for high level archers to do the clicker check? For expansion, the archer should only have a maximum of two millimeters left on the clicker. If the archer has more than two millimeters to expand, he can no longer only use internal movement to pop the clicker, resulting in loss of control. It is all a matter of control. If an archer can control the clicker at the loading phase, meaning that the clicker should be positioned as per photo, click here. For this reason, at the start of this phase, the clicker should be about 2mm from the end of the point. If the archer sets up further back than 2mm, then it is more difficult to control the force to make the clicker go off. 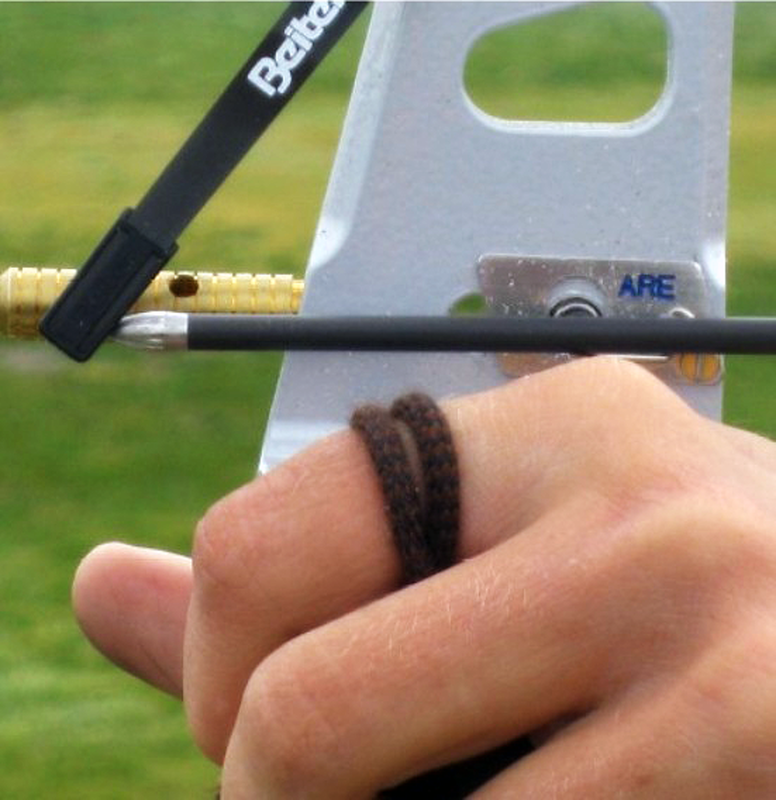 If an archer is struggling to get through the clicker, because the distance of expansion exceeds more than 2mm, the archer no longer can use internal movement to get through the clicker and will use other means, such as using more draw hand, pushing more with the bowhand etc.etc, all of which will result in loss of timing and loss of control of the shot.. Many archers do not have this clicker position consistency from shot to shot. As a coach you can observe these inconsistencies, when watching the position of the clicker on the point of the arrow for different shots. Therefore, for most archers, unless they can control the clicker, it is recommended to have a quick visual check of the clicker at the beginning of the Loading/Transfer phase.